I discovered this little masterpiece left behind by a destructive feline. An overturned plant was left nearby. Mmmm. 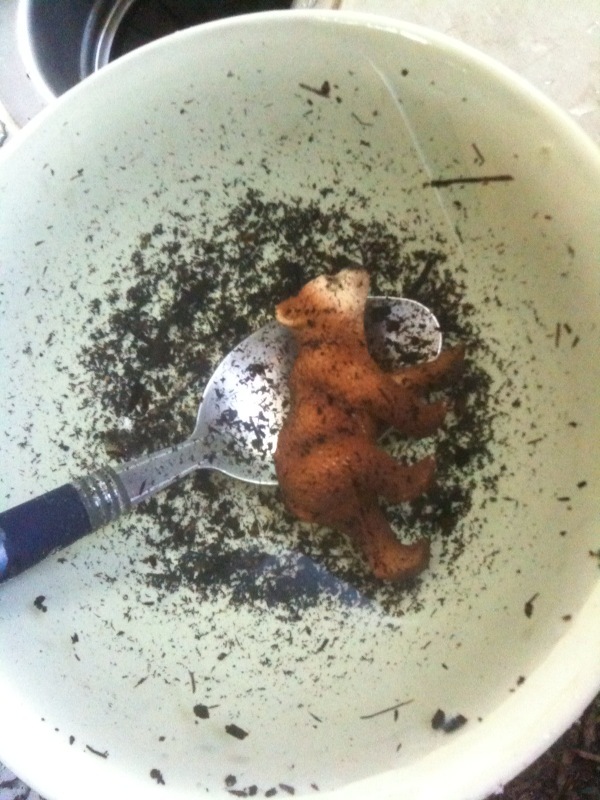 Bear and dirt cereal.